We partner with our clients to combine website design, digital marketing programs, SEO and graphic design into custom programs. Bombastic approaches each and every project with a fresh palette, ready to customize our services to match our clients’ needs and budget. We sit down with every client, listen to their goals, and provide a no-cost program proposal to kick-start our work together. And we support our clients for the long term – no pre-billed maintenance contracts, only the support that our clients need. Ready to start your project? Contact us for a free consultation. For a foundation, every website we build is mobile responsive, search engine optimized and built with the business goal foremost in mind. Then we add customizations for our clients: eCommerce, logistical support, email addresses & custom domain names, and platform options aplenty. 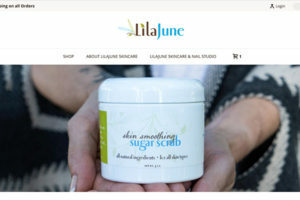 Read our case study on how we created a sophisticated eCommerce site for a client, using collaboration and innovation to stay in their tight budget. Our marketing plans are results-focused and sustainable for the long term. From social media programs, to email newsletters, to blogging, Bombastic works with each client to strengthen their online presence. Read our case study on how we created a full platform of marketing options for a client looking to accelerate the launch of a new consulting business. Search engine optimization and online advertising programs get a data-driven, flexible focus from Bombastic. With a dedication to local search results, we interweave our SEO & advertising programs with the overall digital marketing objectives. Bombastic has a full array of branding services to support our clients: from logo design, to style guide creation, to business card and print support, we ensure our clients look polished and professional wherever they go. Read our blog for tips and insights on how small businesses can easily build their brand.